Artech Industries is one of the major suppliers of Strain Gauge Load Cells, Force Transducers and other products related to the weighing measurement field. Its high quality manufacturing standards, engineering innovations, and rigorous quality control procedures have earned the company a respectable and privileged place among the Load Cells manufacturers worldwide. We here in globind.com have in stock a wide variety of Load Cells and Mounting Kits of all capacities and physical configurations to help our customers find solutions in their respective applications. This is a versatile and low cost load cell, especially designed for single ended load link. The movable link help reduce excessive side loads and reading errors. This is a highly resistant alloy steel product that can satisfy tank weighing applications. This is a high quality and high technology low profile load cell manufactured in Stainless Steel. This last characteristic makes it ideal for application in highly corrosive environment and sanitary applications. It has IP67 rating, and also offers the advantage of the availability in the market of a wide variety of accessories to match with in weighing assemblies. All its characteristics make this product ideal for Truck Scales and low Profile Tank Weighing Assemblies. This is a high capacity load cell that for both tension and compression weighing configurations. Despite being a Canister Type Load Cell its internal construction is with a pair of cantilever arrangement in order to guarantee linearity. It has hermetic seal and a Stainless Steel case version is available. Among its applications are Tank Weighing and Scales conversions. The WM-III Weighing Module is a ready-application design that utilizes double ended shear beams and is ideal for Truck and Track weighing applications. The weight module is available in mild steel or stainless steel. It is a low profile assembly that allows certain flexibility to any weighing system, and offers the advantage of being easy to install. The products above are just a few examples of the technological capacity and high quality of Artech Industries products. Contact us for additional technical information about these products and other Artech Industries products!! This Artech 250 lb Shear beam load cell 30310 made with alloy steel and environmental protection IP67. Both fulfill function of making this tool weighing. This Artech 500 lb Shear beam load cell 30310 made with alloy steel and environmental protection IP67. Both fulfill function of making this tool weighing. This Artech 1 k 5000 – 10000 Division Single ended beams load cell 30410 , handles high capacities ranging from 1 k to 10 k, fully. 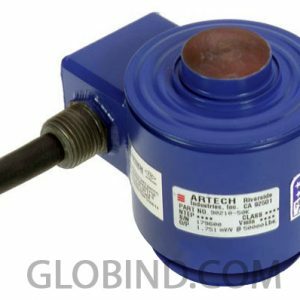 Artech 10k 5000 – 10000 Division Single ended beams load cell 30410, handles high capacities, fully capable of implementation with applications. 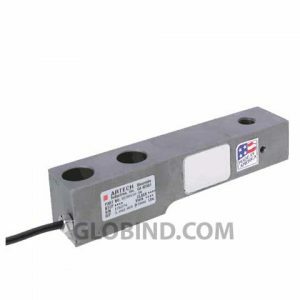 Artech 10k LE 3000 Division Single ended beams load cell SS30410 is a product manufactured in Stainless Steel with capacities that range from 1 k to 10k. Artech 10k 3000 Division Single Ended Beams Load Cell SS30510 reliable and durable stainless steel product with capacity options that range from 1k to 10 k.
Artech 10k 3000 Division Single Enden Beam Load Cell SS30610 ideal for applications at industrial environments. Its especially suitable for applications. 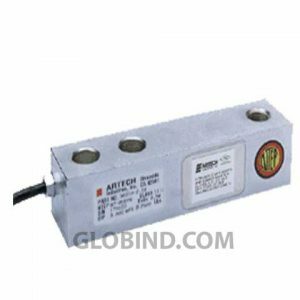 Artech 1k 3000 Division Single ended beams load cell SS30410 is a product manufactured in Stainless Steel with capacities that range from 1 klb to 10 klb. Artech 1k 3000 Division Single Ended Beams Load Cell SS30510 reliable and durable stainless steel product with capacity options that range from 1k to 10 k.
Artech 1k 3000 Division Single Enden Beam Load Cell SS30610 ideal for applications at industrial environments. Its especially suitable for applications. This Artech 2,5k 5000 – 10000 Division Single ended beams load cell 30410 , handles high capacities ranging from 1 k to 10 k, fully. Artech 2,5k 3000 Division Single ended beams load cell SS30410 is a product manufactured in Stainless Steel with capacities that range from 1 klb to 10 klb. Artech 2,5k 3000 Division Single Ended Beams Load Cell SS30510 reliable and durable stainless steel product with capacity options that range from 1k to 10 k.
This Artech 2k 5000 – 10000 Division Single ended beams load cell 30410 , handles high capacities ranging from 1 k to 10 k, fully. Artech 2k 3000 Division Single Enden Beam Load Cell SS30610 ideal for applications at industrial environments. Its especially suitable for applications. 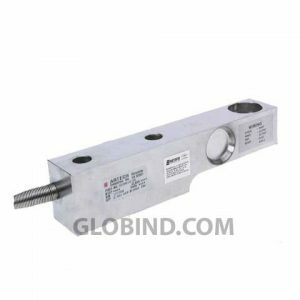 Artech 2k 3000 Division Single ended beams load cell SS30410 is a product manufactured in Stainless Steel with capacities that range from 1 klb to 10 klb. Artech 2k 3000 Division Single Ended Beams Load Cell SS30510 reliable and durable stainless steel product with capacity options that range from 1k to 10 k.
Artech 40k 1000 Division Single Enden Beam Load Cell SS30610 ideal for applications at industrial environments. Its especially suitable for applications. This Artech 4k 5000 – 10000 Division Single ended beams load cell 30410 , handles high capacities ranging from 1 k to 10 k, fully. Artech 4k 3000 Division Single ended beams load cell SS30410 is a product manufactured in Stainless Steel with capacities that range from 1 klb to 10 klb. Artech 4k 3000 Division Single Ended Beams Load Cell SS30510 reliable and durable stainless steel product with capacity options that range from 1k to 10 k.
Artech 4k 3000 Division Single Enden Beam Load Cell SS30610 ideal for applications at industrial environments. Its especially suitable for applications. This Artech 5k 5000 – 10000 Division Single ended beams load cell 30410 , handles high capacities ranging from 1 k to 10 k, fully. Artech 5k 3000 Division Single ended beams load cell SS30410 is a product manufactured in Stainless Steel with capacities that range from 1 klb to 10 klb. Artech 5k 3000 Division Single Ended Beams Load Cell SS30510 reliable and durable stainless steel product with capacity options that range from 1k to 10 k.
Artech 5k 3000 Division Single Enden Beam Load Cell SS30610 ideal for applications at industrial environments. Its especially suitable for applications. This Artech 5k LE 5000 – 10000 Division Single ended beams load cell 30410 , handles high capacities ranging from 1 k to 10 k, fully. Artech 5k LE 3000 Division Single ended beams load cell SS30410 is a product manufactured in Stainless Steel with capacities that range from 1 k to 10k. Artech 5k LE 3000 Division Single Ended Beams Load Cell SS30510 reliable and durable stainless steel product with capacity options that range from 1k to 10 k.